This giant ball pit in New York City is all about "the transformative power of play" - Archpaper.com This giant ball pit in New York City is all about "the transformative power of play"
By now you’ve surely seen a friend or relative’s selfie from the massive ball pit at the National Building Museum in Washington, D.C. 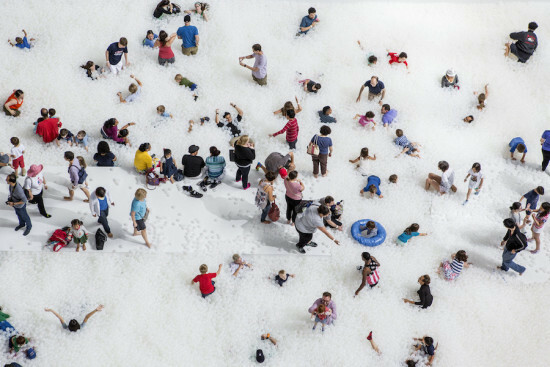 The installation, dubbed The BEACH, was designed by Snarkitecture and includes nearly one-million all-white, translucent, recyclable plastic balls. It’s like a McDonald’s ball pit, but artsier and probably a little bit cleaner. If you’re not able to hit The BEACH before it closes on Labor Day, you now have another chance to swim through a sea of plastic and strangers. AMNY reported that New Yorkers are getting their very own ball pit from August 21st to September 21st. JumpIn! will be at Pearlfisher’s Soho offices, which are on the 5th floor of 455 Broadway. It’s free to enjoy, but reservations must be made in advance. You can do that here. 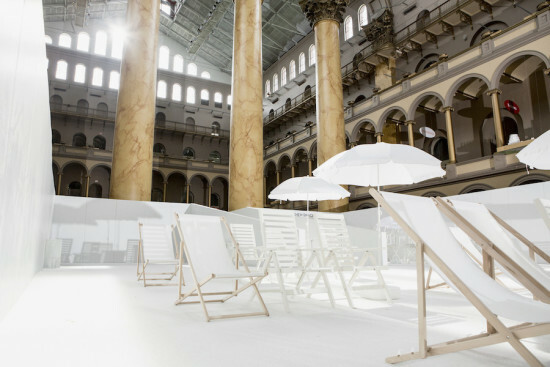 Midtown National Building Museum New York City Snarkitecture snarkitecture ball pit snarkitecture the beach Washington, D.C.